This technique is inspired by Syndee Nuckles' tutorial, Hand-Cut Accents, found in this month's Premier. Her creative idea is a wonderful way to help stretch a kit and make it work for you. Today I want to take Syndee’s tutorial to the next level. Instead of hand-cut accents, let's make hand-torn accents. This technique will work great not only for the cute little flowers in Syndee’s tutorial, but also for things like the edge of a paper, alphas, or any shape to which you want to give a handmade feel. The sky’s the limit! Let’s go! Press Ctrl J (Mac: Cmd J) to duplicate the flower. Download the DS-Tear style here. Install the Layer Style. 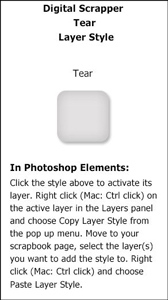 You can find instructions for how to install the style for your version of Photoshop or Photoshop Elements here. In the Layers panel, click on the Visibility icon of the top flower layer to hide it. Activate the bottom flower layer. In the Effects panel, click on Styles. Double click on the DS-Tear style to apply it to the bottom flower layer. In the Menu bar, choose Window > Styles. In the Styles panel, click on the DS-Tear style to apply it to the bottom flower layer. 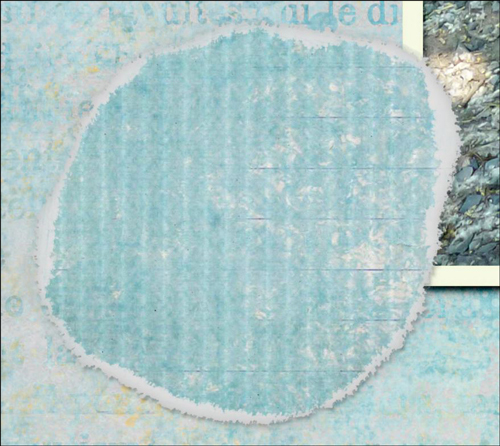 On the document, using small back and forth movements, click and drag to erase the edge of the grayed flower just enough to roughen it up a bit. Note: Using a back and forth movement like scrubbing will get rid of any stray pixels. In the Layers panel, activate the top flower layer and click on the Visibility icon to make it visible again. 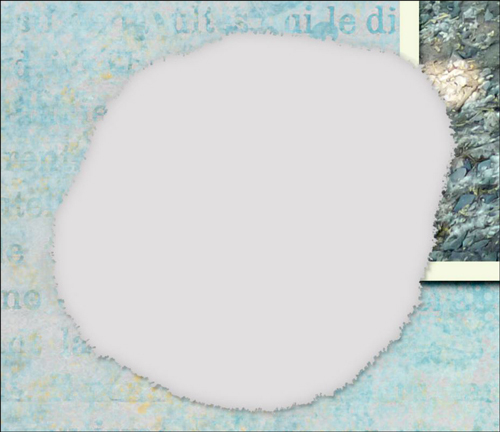 On the document, click and drag to erase the edge of the top flower revealing the gray layer below. Here is my finished layout. I love how the tears look on my hand-cut and hand-torn elements. Thanks Syndee. You inspired me with your fun tutorial. Cute scrap page. Thanks for the tutorial. Thanks for the compliment, and you are so welcome. Thanks for the style and the tutorial! I’ve often wanted to create this look. You are so welcome. If you do use it I would love to see! 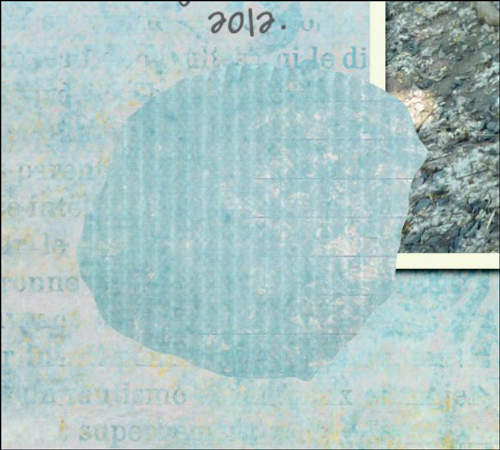 Post in the Digital Scrapper Tutorial Gallery so I don’t miss it. WOW WOW WOW! Who would have ever thought this could be so easy!! THANK YOU for the GREAT tut!!! Love it!! 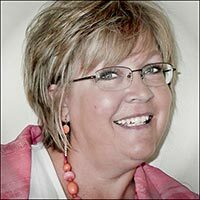 Glorie you make laugh. Thanks! Woo Hoo! I’ve been waiting for this tutorial. Awesome Nann. You make things so EASY!! As you know I was trying to figure out how to do this, with no luck. Now I can continue on the layout I was working on. Your style is PERFECT!! Love it, and thanks so much for sharing your expertise!! You page is what inspired me to try to emulate the torn look. Now I can do it!!!! This makes me so happy, I would love to see your page. You’re welcome Tora, so glad that you like it. Thank you! You make it look easy enough! I shall try it out! I’ve always wanted to make these but thought it would be too complicated. Thanks for making it possible. * If you are an earthlink or mindspring customer, please use a different email address to register above (i.e. gmail or hotmail).